As far as I’m concerned, Jo Malone MBE can do no wrong. 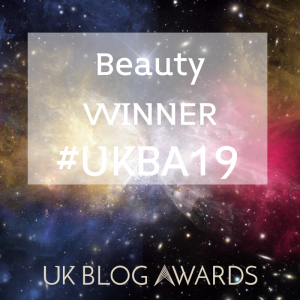 Not only did she create the gorgeous fragrances I love from Jo Malone, but a few years ago she then founded Jo Loves, a new fragrance brand with a whole selection of different fragrances to discover. Which to me is fabulous because it’s twice the fun. Being a BIG fan of Jo Malone perfume and candles, I have been excited to try Jo Loves for a while now. 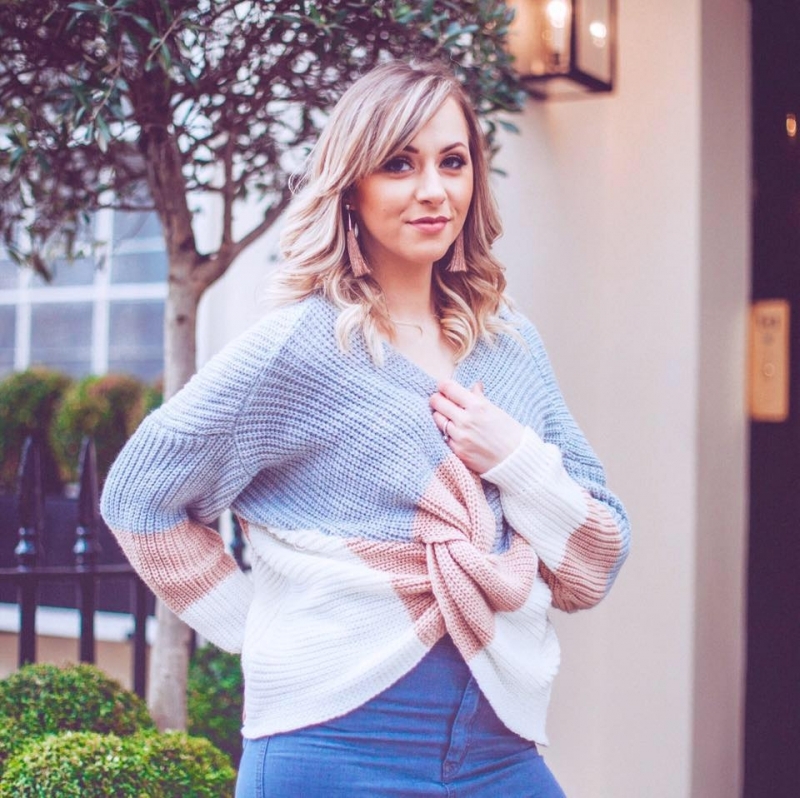 One thing I adore about Jo Loves is the way everything in the brand is reflective and sentimental – which gives a really personal feel to the products. For example the Jo Loves store in London is at 42 Elizabeth Street in Belgravia – which just so happened to also be the site of Jo’s first job in a florists. As a result Jo then created the fragrance ‘No 42 – The Flower Shop’ to mark this. It’s knowing little details like this that make me love a brand – knowing their heart and their history gives such an insight into the way they work and really captures you. Despite wanting to try the brand for a while, I’ve always been torn on which fragrance to start with. After speaking to the lovely people at Jo Loves directly, they told me their number 1 fragrance is Pomelo. Which was the first fragrance that Jo made after taking her break between Jo Malone and Jo Loves. So that seemed like the best place to start. Pomelo is a true summer fragrance – its scent reminds me of everything summery and was created to encapsulate that summer holiday feeling. So think beaches, sunshine and summery foods and drinks. I don’t know what I was expecting when I first tried it, but it completely blew me away. It’s sweet yet light with a really heavy citrus influence – think oranges and grapefruit with a hint of sandy beaches and sunshine and you’ve pretty much got the tones you’ll pick up. It’s also got a more masculine side to the scent – which did surprise me, but it really works. I love shops like Abercrombie and Fitch purely for the smell as you walk through the doors. That fragrance they spray everywhere and hits you the second you step over the threshold – it’s like a light manly fragrance that reminds me of a mans shirt. Pomelo has that side to the scent which gives it a completely different side to the fragrance as well – it’s almost dimensional. You wouldn’t think it, but the citrus and summer side blends perfectly with the more masculine side and creates this really unique fragrance that’s still feminine. I’ve not smelt another perfume quite like it. It’s elegant and classy, with a really obvious high-end trademark that you can’t miss. It’s the sort of scent you know is high-end when you walk past someone wearing it because of the perfect blend of tones within. I get so many compliments when I’m wearing mine, and am frequently asked where my perfume is from. Strength-wise, I’m never disappointed with this. It sits on the skin perfectly without being too overbearing, and you can still smell it strongly hours later – it doesn’t diminish within a short wearing time. Which means it’s great for a morning spritz before work. It doesn’t morph during the day either – which some fragrances do, and they end up smelling nothing like the original scent within only a few hours. The quality of Pomelo means it’s got the same scent throughout. 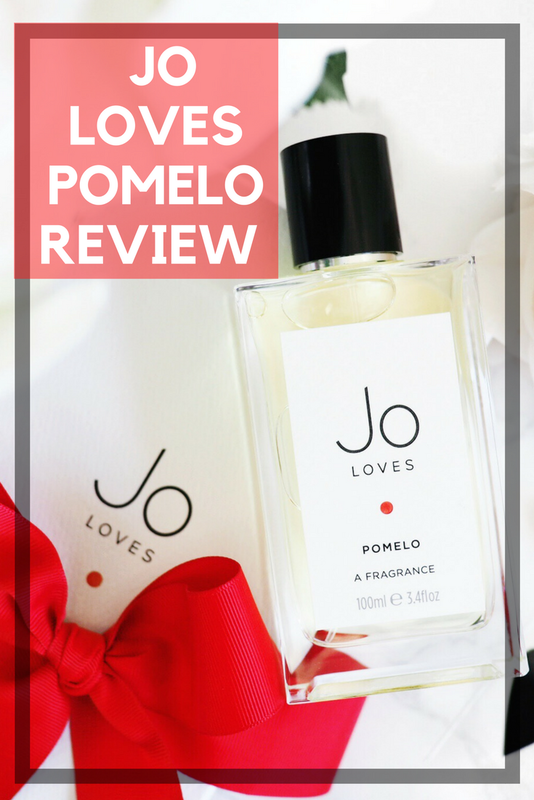 As a first impression on the Jo Loves brand, Pomelo has exceeded my expectations. Without even trying I’ve found my perfume for the summer and I’m pretty sure I’m now as much of an avid Jo Loves fan as I am a Jo Malone fan.